Arrow Video have released their schedule for December and it will be another month of DVD, Blu-ray and dual format releases. Below you will find the December 2017 release schedule for U.K., U.S.A. and Canada releases. 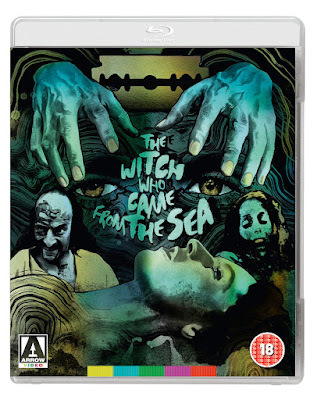 If you missed what Arrow Video released in November 2017 you can find all the details HERE. Step into the House of horror! From the team that brought you Friday the 13th comes one of the all-time ’80s horror greats, at long-last upgraded in hair-raising HD! William Katt (Carrie) stars as Roger Cobb, a divorced horror novelist coming to terms with the disappearance of his young son. 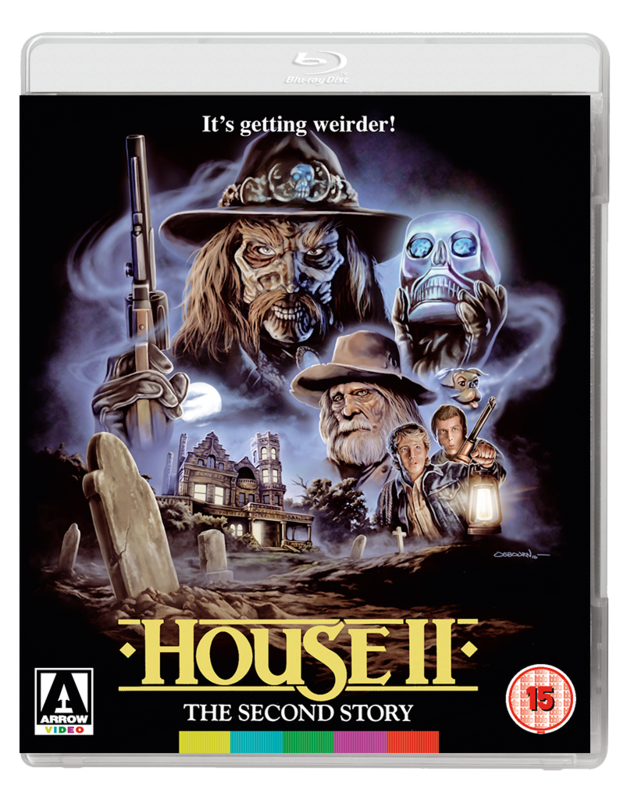 Directed by Steve Miner – the man behind such horror hits as Friday the 13th Part II and III, Halloween H20: 20 Years Later and Lake Placid – House remains one of the defining fright flicks of its era. THE TIME WE’RE NOT KIDDING. Lance Henriksen (Aliens, Pumpkinhead) stars in the most terrifying House instalment yet, now fully uncut on Blu-ray! Sadistic serial killer Max Jenke was sent to the electric chair for his heinous crimes… now he’s really mad! 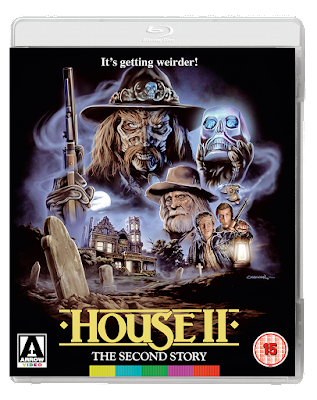 Vowing revenge on Lucas McCarthy (Henriksen), the detective who apprehended him, “Meat Cleaver” Max returns from beyond the grave to launch a whole new reign of terror. 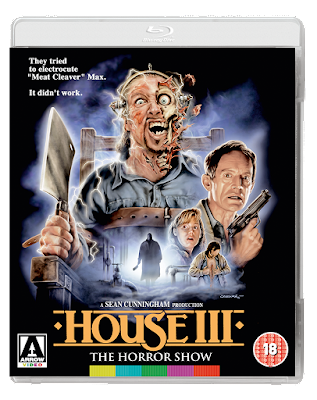 Produced by Sean S. Cunningham (Friday the 13th) and directed by James Isaac (Jason X), House III was released domestically as The Horror Show, where it was hacked by the US censors for its gratuitous gore sequence – now lovingly reinstated for this definitive release from Arrow Video. A favourite of J.G. 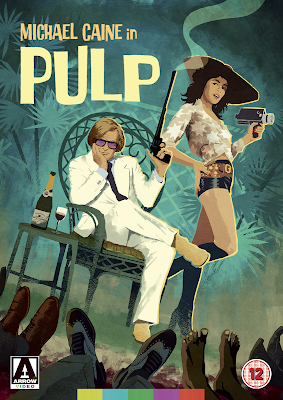 Ballard, Pulp has long existed in the shadow of its predecessor. Tonally, it could not be more different – Get Carter never had the time for sight gags and one-liners – but it’s a real gem in its own right and fully deserving of a wider audience. 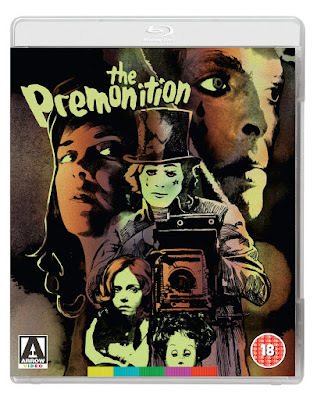 This brand-new restoration from Arrow Films aims to right that wrong. Representing something of an anomaly in the career of director Matt Cimber (whose other credits include such blaxploitation fare as The Candy Tangerine Man), The Witch Who Came from the Sea is an unnerving journey into madness and murder starring Millie Perkins (The Diary of Anne Frank). 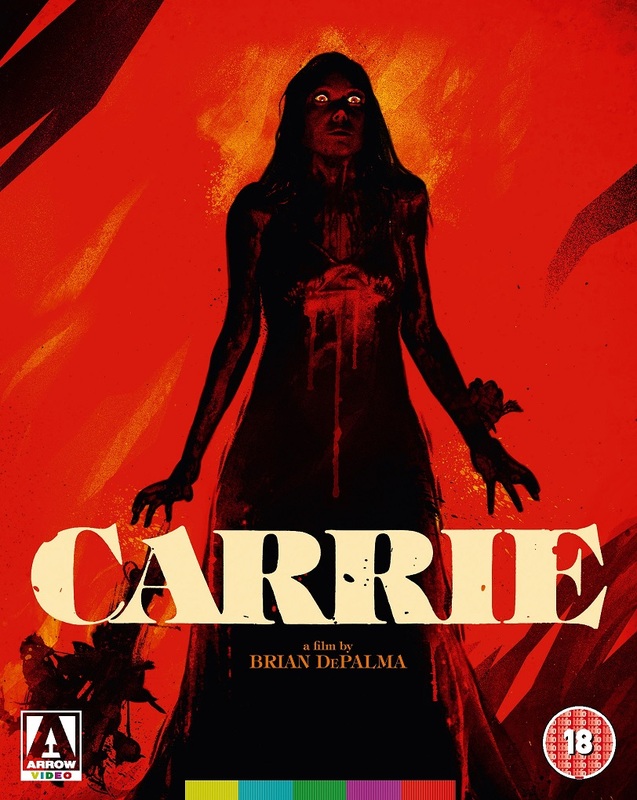 In 1974, Stephen King published his first novel, the story of Carrie White, a troubled young girl, bullied by her peers and daughter to a fanatical fundamentalist mother, who discovers she has telekinetic powers. In 1976, it became the first of his works to be adapted for the big screen and, to this day, remains one of the very best. Carrie marked Brian De Palma’s arrival as a major director, following smaller cult films such as Sisters, Phantom of the Paradise and Obsession, and provided a key early role for Sissy Spacek (Badlands), one that would earn her a Best Actress nomination at the Academy Awards. Piper Laurie would also pick up a nomination, for Best Supporting Actress, as Carrie’s mother, while future stars such as Amy Irving, John Travolta and Nancy Allen were give their first major parts in a big-screen production. 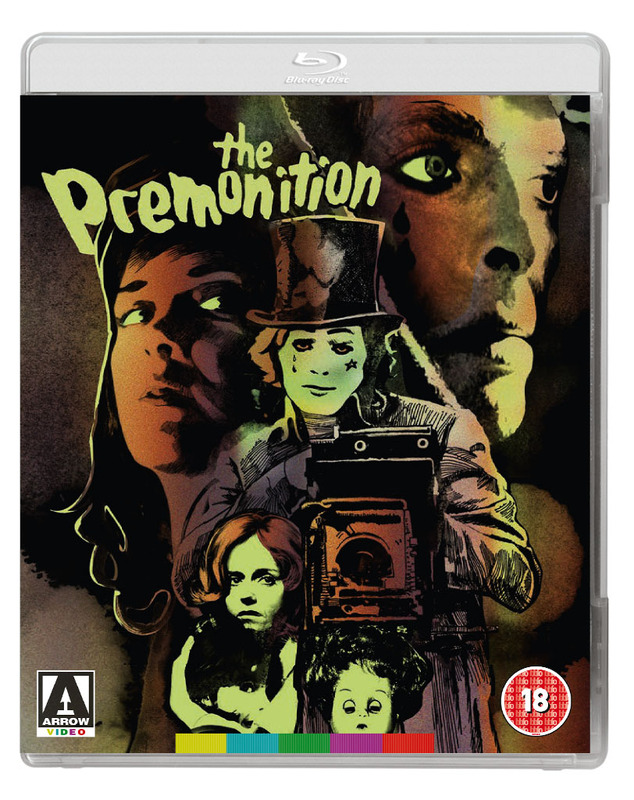 Restored in 4K from the original negative, this collector’s edition provides the definitive release of a horror classic. Robert Harmon’s 1986 film The Hitcher is a complex beast: reviled at the time of its release, it has been adored in the long term as one of the most intoxicating, unrelenting highway cult films ever made. 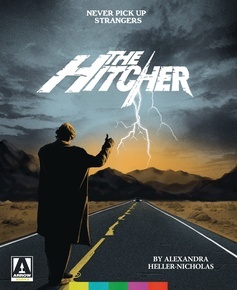 Starring Rutger Hauer in the title role whose alluring villainy would give his turn as Blade Runner’s Ray Batty a run for its money, The Hitcher – both the film and the character – is simultaneously of its time and of the now, a film about the real and the mythic, and a film that challenges our assumptions about masculinity and femininity. Its horrors unfold as The Hitcher tracks and tortures the film’s protagonists across the highways of Nowhere USA, and the film reveals a tangle of contradictions: it is, at times, simultaneously dense, shallow, obvious, subtle, absurd and deeply intelligent. 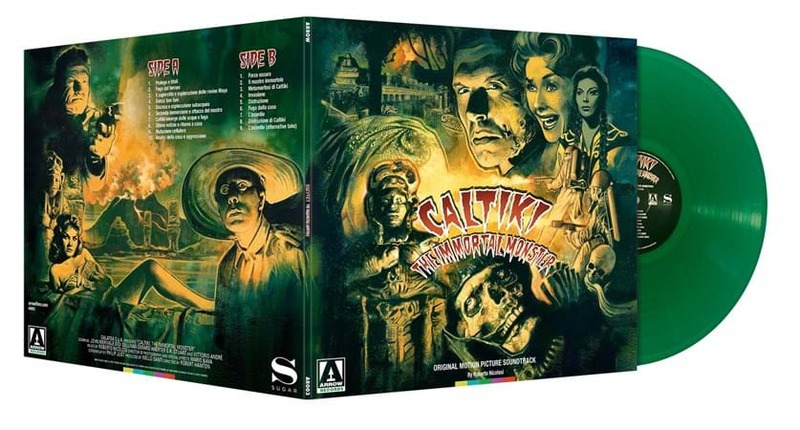 ARROW RECORDS proudly present the original soundtrack to Riccardo Freda and Mario Bava's sci-fi horror cult classic, CALTIKI, THE IMMORTAL MONSTER! 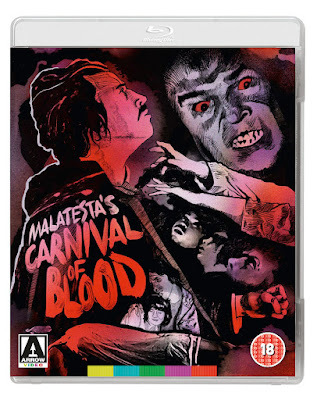 Previously unpublished on vinyl, CALTIKI is not only one of the earliest Italian horror film soundtracks but also the first of several fruitful collaborations between horror maestro Mario Bava and the talented composer Roberto Nicolosi, whose compositions for the film combine brassy orchestral bombast with unsettling atonal atmosphere. This limited vinyl edition has been newly mastered from the original 1/4" analogue tapes by James Plotkin and is presented on 180 gram wax, housed inside a 350gsm sleeve. Featuring newly commissioned artwork by Graham Humphreys, and accompanying film notes by Tim Lucas.